Read through these 8 weight loss hacks and put them into action! You'll be dropping those stubborn pounds in no time at all. Artificial sweeteners including Splenda (sucralose), NutriSweet (aspartame), Equal (a blend), Sweet N Low (saccharin) as well as acesulfame and neotame should be avoided at all costs. More and more research is showing the detrimental effects these chemicals have on our body including weight gain! So, how can we get our sweet fix? Check out my Sugar Substitute Guide for the most up-to-date information. Hydrate your body with pure, clean water. Your goal should be to drink at least half of your body weight in ounces. 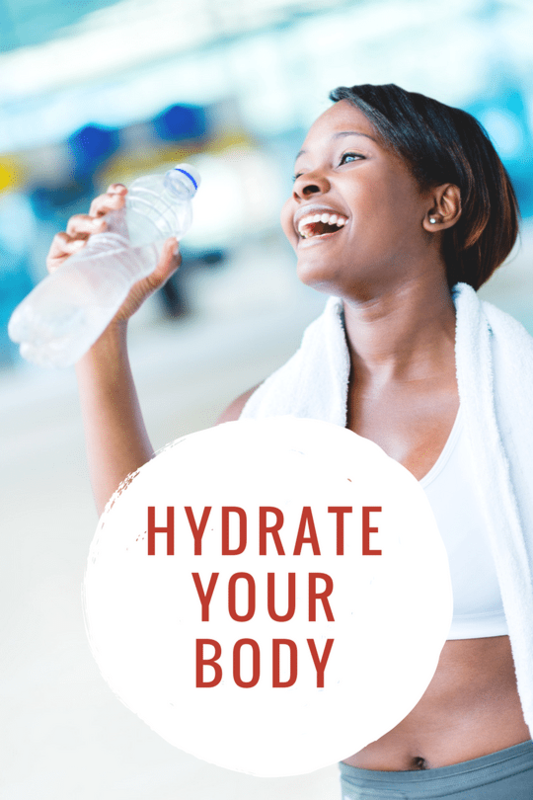 If you weigh 150 pounds, the minimum amount of water you should drink daily is 75 ounces. I highly recommend purchasing distilled water or investing in a Reverse Osmosis System. Tracking your food gives you real, measurable metrics. It is often THE thing that takes clients to the next level with losing weight and keeping it off. You'll begin to see patterns and be able to make smart adjustments to your eating. Losing weight isn't just a temporary effort. It's something you have to maintain and work on over the long-term. 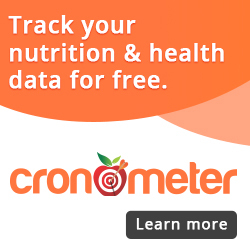 I recommend Cronometer for tracking food, fitness & more! Reduce your carb intake to 30% of total daily calories to speed up weight loss. Focus on eating only whole food carbohydrates such as vegetables and fruits. Avoid added sugars, flours & grains. Consider going on a Ketogenic Diet if you want to really speed results. The Cardio Myth: More cardio won't increase weight loss! Shake up your fitness plan to improve your results. Women should be strength training at least three times per week to maintain muscle mass during periods of weight loss. Work with a personal trainer or follow a structured workout program for optimal results. Drink black coffee to increase your metabolism and speed weight loss. Avoid supplements loaded with caffeine and choose coffee instead. My favorite coffee is a product called Smart Coffee that is a Nootropic infused coffee that improves mood, decreases cravings and speeds up the metabolism. Order your Smart Coffee here and choose auto-ship for a deep discount using my link! Pro Tip: Pair it with XanthoMax for optimal results! Take a look at your overall fiber intake using the Cronometer app. Most of us need more fiber in our diets. Supplement before meals with gentle options such as Acacia Fiber or Glucomannan to increase satiety. You can also try supplements such as Slique CitraSlim Capsules which contain healthy fibers, enzymes & essential oils for optimal weight loss support. It is critical that you figure out the correct supplement regimen to support YOUR body. Without the proper nutrients, minerals & nutritional support--your body becomes inefficient in it's processes. This results in a myriad of inefficiencies and issues. Skipping supplements is like putting diesel in the gas tank of your gasoline burning vehicle and expecting it to run. Choose high quality, reputable supplements and leave the cheap stuff on the shelves of the supermarket! Do you have additional tips not mentioned here? Post them in the comments below!